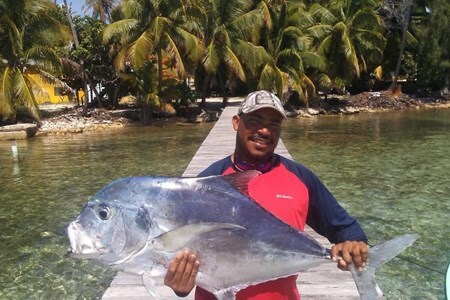 Grand Slam Fishing Package - Price is for 1-2 persons If you’re looking for your next big fishing story, dinner, or the Grand Slam of fishing, you’ll find it here in Belize, We are ... morethe perfect base for your Belize fishing vacation! Belize’s southern barrier reef is crystal clear and one of the best destination for flats fishing. 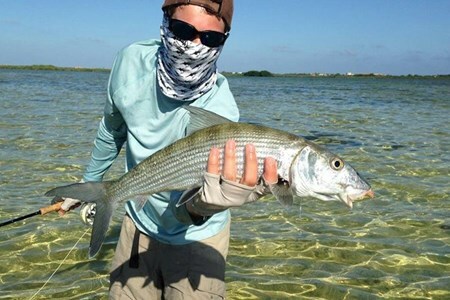 The shallow waters are home to lots of flats perfect for playing catch and release with the elusive permit, bonefish, and tarpon. Our friendly and knowledgeable guides will transport you to calm turquoise water about 35 minutes away around South Water Caye and it features a large seagrass lagoon, teeming with coral shoals and pristine flats. Whether you are an avid, intermediate, or novice fisherman, our local guide is ready to take you on the trip of a lifetime where they can be as hands-on or as relaxed as you need. Huge schools of bonefish spread out over the lagoon. 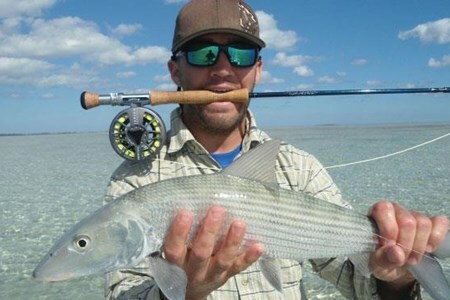 Tailing these large bonefish schools will provide hours of fly rod action at your own pace. When the tide is just right, your guide will take you to cast on neighboring mangrove flats, home to permit up to ten pounds in size. Try your hand at snook and tarpon. Tarpon often reaches 75 pounds in the inner channel of southern Belize. 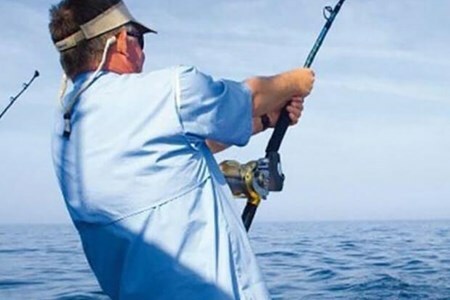 Half Day Deep Sea Fishing This 4-hour fishing trip includes all fishing gear, bait, beverages of choice, and the opportunity to try your hand at deep sea fishing. The $450 fee includes ... more4 people, each additional person is $50. Double your time, double your chances of a big catch. This full-day tour includes all bait, fishing gear, lunch, beverages of choice, and the opportunity to tell a new story about the one that got away. The $900 fee is for 4 people, additional guests can be added for $50 each. If you like to catch that big fish that will have you struggling trying to pull it in, this is for you. Deep Sea Fishing takes you on a journey outside our barrier reef on the deep ... moreblue to catch fish like marlin, wahoo, mahi mahi, tuna, etc... What will be biting depends on the time of year and the location. 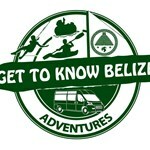 We have guides that will go beyond the drop off and down South of Belize to Lighthouse reef and Turneffe Atolls. 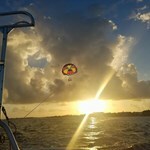 Once out in the deep, one can do some fast trolling to catch fish like mahi mahi and wahoo, drift fishing with live bait to catch marlins and sailfish and/or bottom fishing for those big jacks, red snappers and sharks. 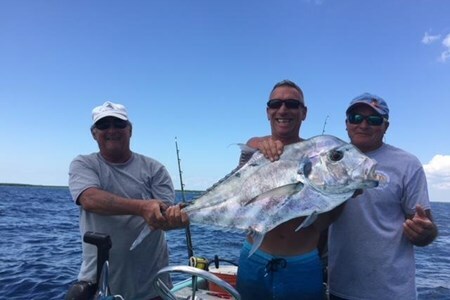 We can provide a half day or a full day of fishing and we have several sizes of boats to accommodate bigger groups or families that would like to go together. Offshore fishing is one of my favorite types of fishing. Although the fishing can sometimes be slow, once you find the fish it is guaranteed that it will give you a good fight. For ... morethis type of fishing, we target mainly dorado, tuna, mackerel, wahoo, sailfish, and marlin. We can fish from a mile and a half away from shore to ten miles in search of fish. 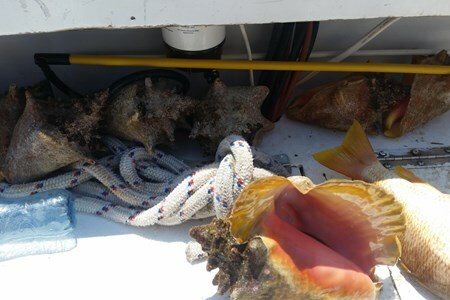 Cost for this fishing charter is $300.00 USD half day and $400.00 USD Full Day. 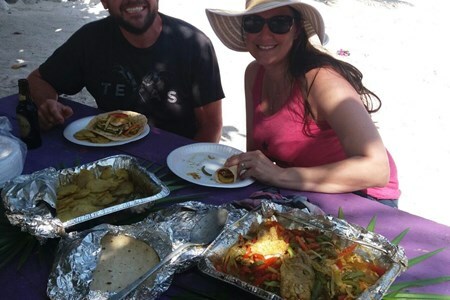 The beach BBQ fishing adventure is what most of our guests are in search of. We start off this trip by heading out to catch our meal. After catching enough fish to eat, we head to ... morethe beach to light up the grill and cook up the catch. 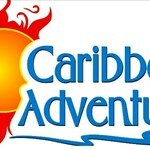 While the guides prepare the meal, you can swim on the beach or simply just take a walk to enjoy the Caribbean Beach. Once the food is served and everyone is happy, we close off the day with some snorkeling. 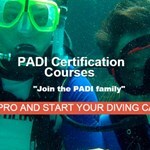 Cost for this trip is $400.00 USD and it does not include park fees if you desire to snorkel in a marine reserve. Half day Reef Fishing. Join us for a half day of reef fishing--we will provide fishing gear, bait, and beverages of choice. We can't guarantee you'll catch anything, but we can guarantee ... moreyou'll have a great time. No need to book individually as the $250 fee includes 4 guests--additional guests are $30 per person. 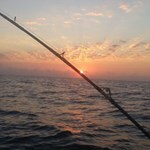 The full day of fishing includes all fishing gear, bait, drinks of choice, and a lot of suns. The $400 fee is for up to 4 people, additional guests can be booked for $50 per person. Of course, we can add a beach BBQ. 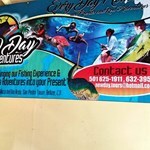 We will provide fishing gear, bait, rum punch, water, and experienced guides. We can’t guarantee you’ll catch anything, but we can guarantee you’ll have a great time and possibly some great stories. 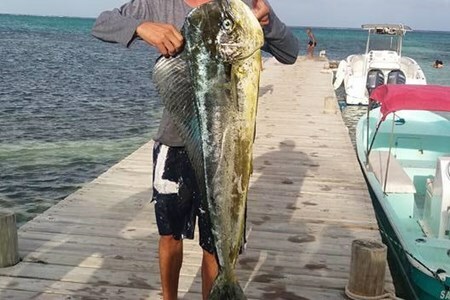 For this half-day fishing charter, we fish inshore of Ambergris Caye. While fishing we have chances of catching snapper, barracuda and other types of inshore fish. After we catch the ... morefish, the fishing guide cleans it for you so that you can take to your favorite restaurant to cook it. The trip includes sodas, water and fishing equipment. 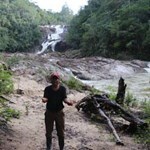 Cost for this trip is $225.00 USD and Maximum is 5 persons. For this trip, we fish inshore of Ambergris Caye for snappers, barracudas and other fish. This trip is similar to our half day reef fishing but the only difference is that we fish ... morelonger. This trip includes water, sodas, fishing equipment and sandwiches. 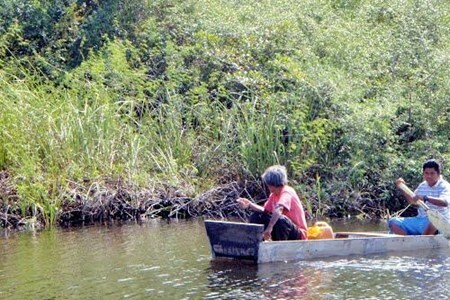 Once the long day of fishing is over, the guide cleans the fish for you so that you can take to a restaurant and enjoy. Maximum is 4 to 5 persons and cost for this trip is $350.00 USD. 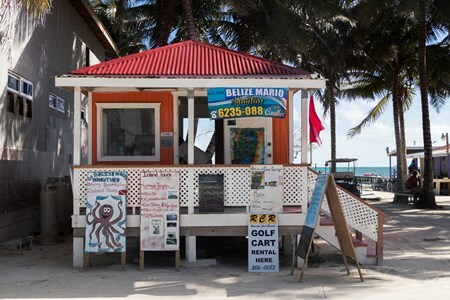 Belize’s coastline affords the ideal ecosystem for a wide variety of marine life to thrive. Rivers, mangrove lagoons and islands serve as nurseries for aquatic species. While abundant flats and the Belize barrier reef provide a playground for game fish to thrive. Start your trip off by catching fresh bait with cast nets near the mangrove formations. 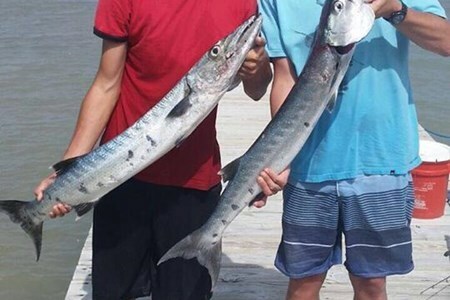 Then venture further along the Barrier Reef where our local guide will lead you to the drop-offs ideal for catching king mackerel, barracuda, grouper, jacks, and a variety of snapper. Our friendly and knowledgeable guides will transport you to calm turquoise water about 35 minutes away around South Water Caye and it features a large seagrass lagoon, teeming with ... morecoral shoals and pristine flats. Whether you are an avid, intermediate, or novice fisherman, our local guide is ready to take you on the trip of a lifetime where they can be as hands-on or as relaxed as you need. Guided by experienced local fishermen, in a canoe or along the banks of the Macal, Mopan or Belize Rivers, try your luck with handline or fishing pole. Catfish or tuba are the usual ... morepan-sized catches, with even the game fish Tarpon in season. It is a Grand Slam! Yes the fly fishman's ultimate goal! Ambergris Caye has many lagoon flats, channel cuts and mangrove inlets on the West side which provide great habitats for flat ... morefishing. 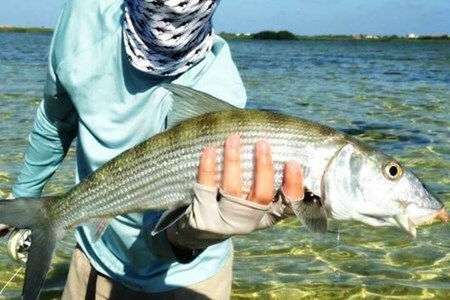 Tarpon, bonefish and permit are the catch of the day for a Grand Slam. These fish are protected by the laws of Belize and are only for catch and release. Because these fish are protected, they are abundant in our waters. This provides a great chance for the fly fisherman to get his Grand Slam! Flat fishing is also done on a half day or full day. Reef fishing takes you to our barrier reef which is parallel to our island. 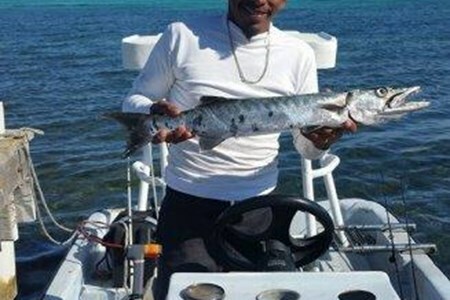 Most of the fishing is done inside the reef and is probably the most popular fishing done in Ambergris Caye ... moreas the probability to catch a fish is high. There are many spots along the reef where one can fish and usually to reef fish it is only minutes away from your hotel. 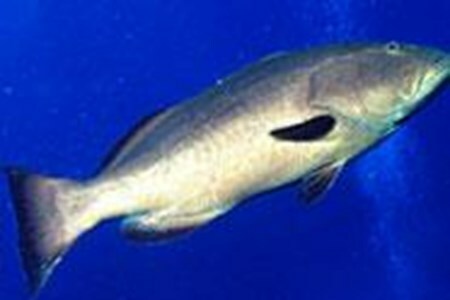 Snappers, groupers, barracudas and jacks are common fish caught on the reef. Trolling is a good way to get those barracudas or maybe some horse-eyed jacks. Also bottom fishing is done to get those medium sized snappers and groupers. 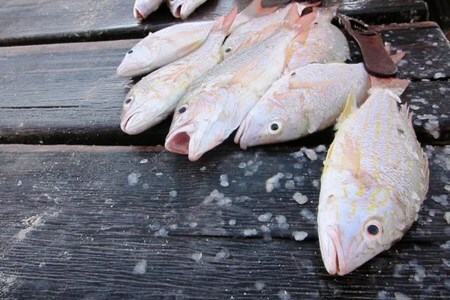 Reef Fishing also comes in two flavors, half day or full day. Take an amazing fishing trip with us. It's the trip you've been dreaming about. The experience starts from the moment we greet you to the moment we say goodbye. Our crew members are trained and experience guides that will take you to Belize’s best fishing spots ... morealong our reef. Most of the reef fishing is done inside the reef and channels, where there is plenty of fish that move in and out of the reef looking for food. Our fishing guides will take you there, but not anywhere, they will take you to spots on the reef where they know you will have your catch. 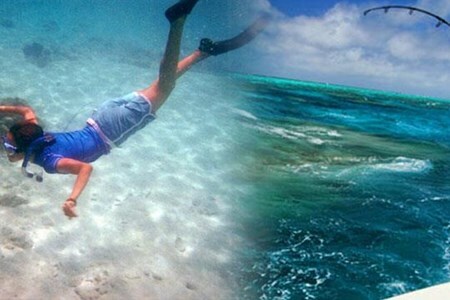 Two Words: Snorkel & Fishing! 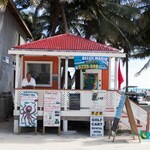 Ambergris Caye is the most prominent icon in Belize for saltwater fishing and snorkel adventures. 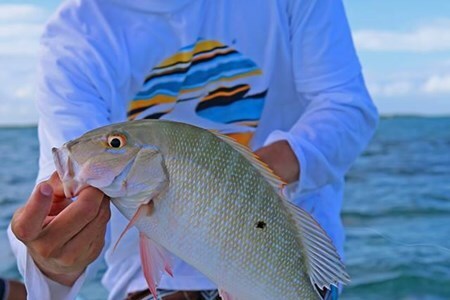 The reef just minutes away host some of the most ... morefrenetic salt water fishes like snappers, groupers, barracudas, yellow tails and much more. 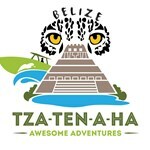 The Belize Reef also provides numerous snorkeling spots with safe environment and pure underwater bliss for avid fanatics.